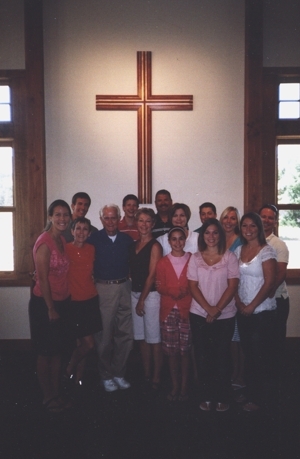 The Chaplain requested a Cross made to denote the many religons to the Chapel. 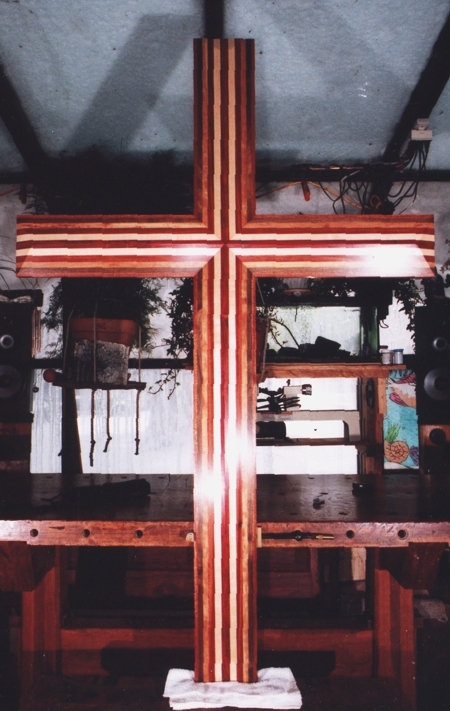 The different woods represent the various beliefs. I graduated the layers to accent the rediating feel of the Cross. The Cross is joined by mitres and reinforced with dovetail key's epoxied into the back. The face is beveled throughout and sanded to a glass smooth finish. 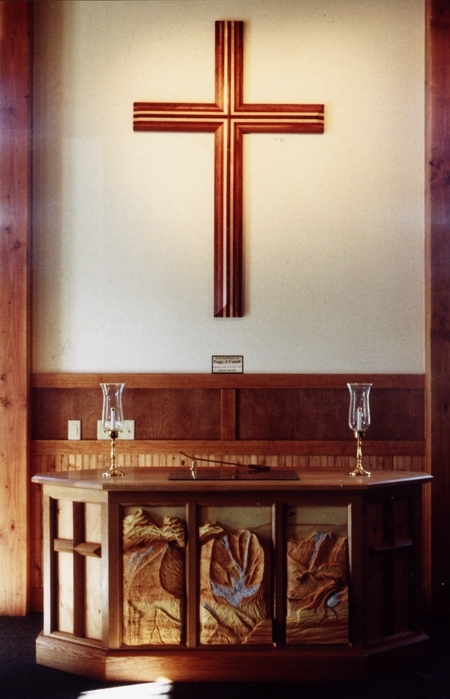 The Cross is hung tightly to the wall with keyholes.